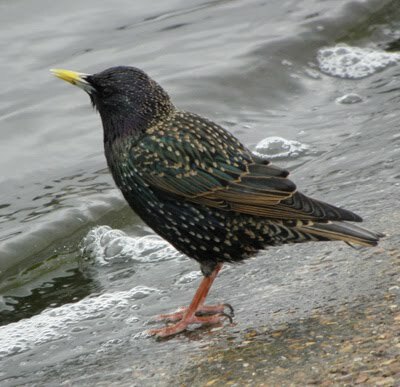 The Starling is a very common bird, despite beginning to decline in the UK. It is bold, and will frequently scavenge food in car-parks, outdoor cafes or wherever it can find it. Realistically, it should be one of the easiest of all birds to photograph, although for particular close up views I seem to have had the best luck near water for some reason. They are one of our most communal birds, and often travel in small flocks. ITALY - An fairly common resident in Sardinia, Corsica and Sicily. - SICILY 2018 TRIP - Fairly throughout. - MADRID 2016 TRIP: A number seen around Seville.